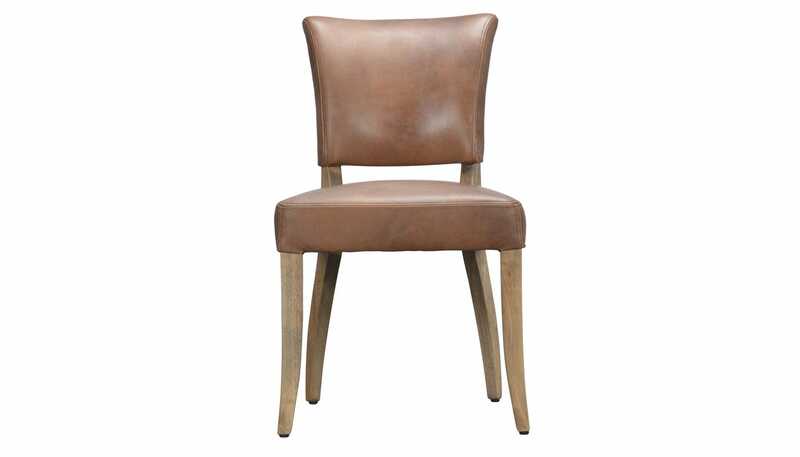 The Mimi is a reinvention of a classic 1940s French dining chair with brass stud detailing and tapered weathered oak legs. This luxurious, classic style has a gently flared back and padded seat for comfort so you can chat for hours over dinner with friends. Shown in Destroyed Raw leather. 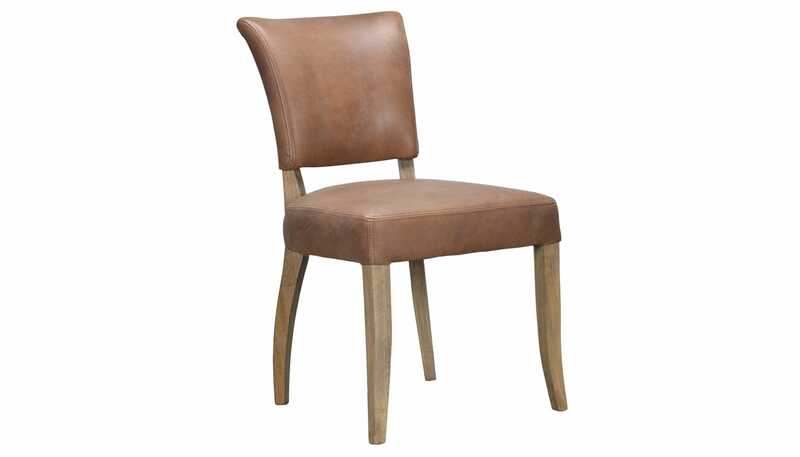 Also available in Vintage Bianco leather with weathered oak legs and Faded & Degraded luxurious velvets. Leather:Lightly dust and vacuum on a regular basis. 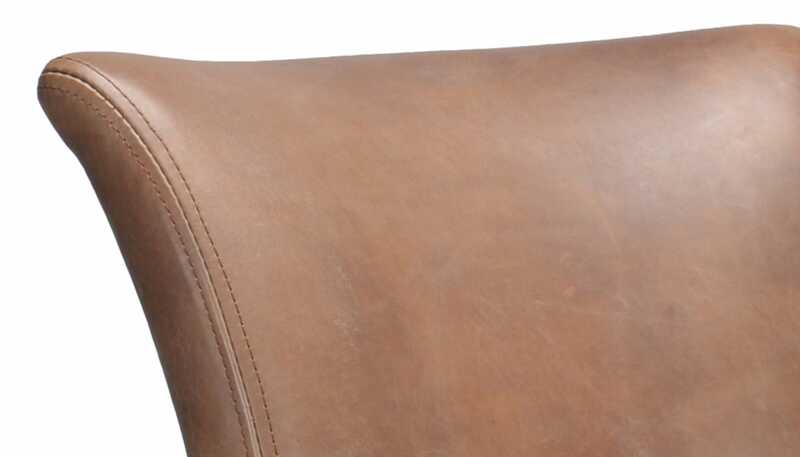 Do not place your leather too close to a heat source, as it may cause it to crack and age prematurely. Protect your leather from direct sunlight and moonlight, as it may cause it to fade, discolour or crack. All leathers will fade over time, but darker colours may fade faster in direct sunlight. 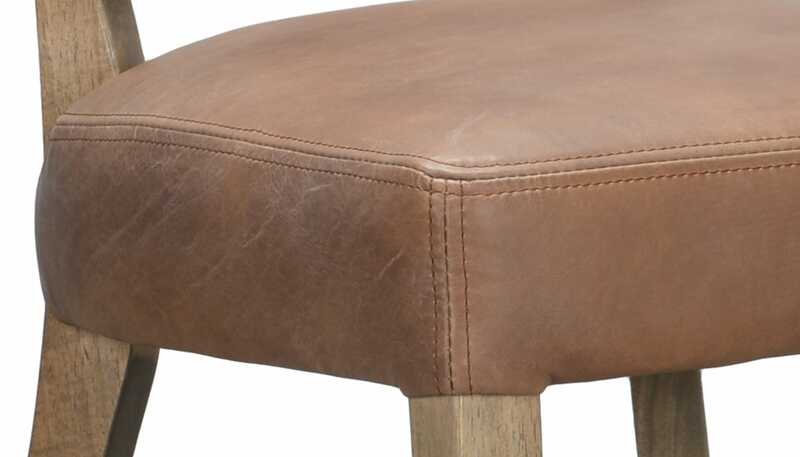 Avoid sitting on the arms, back or very edge of your leather furniture as this may cause distortion and/or damage. Not suitable for leather wipes or any care products. Timber: Always wipe up spills as soon as possible and dry with a soft cloth. Avoid using any acidic or high alkaline-based cleaners, or products containing bleach, ammonia, alcohol or petroleum. For persistent spots, gently clean with a soft cloth and a solution of warm water and mild detergent, wipe dry. Avoid furniture polish as over time it can accumulate and leave a residue. Remove dust with a soft, dry, untreated cloth.